Mix graham cracker crumbs, brown sugar, and melted butter until well blended. Evenly press out mixture into a 9 inch pan. Leave unbaked, and cool for an hour in the fridge. Combine the egg yolks, sweetened condensed milk and lime juice. Mix thoroughly. Add key lime zest and lemon zest and mix them in. Bake in preheated oven for 14 minutes. Cool. 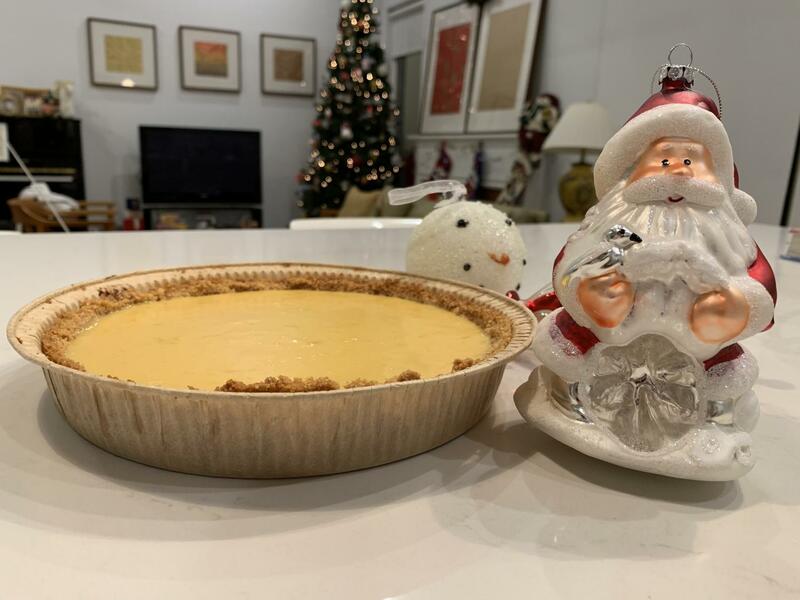 Key Lime Pie is the perfect sweet for the holiday season!